PAP leader Gagik Tsarukyan considers the developments in Ararat Cement factory result of someone’s personal interests. For already few days the employees of the factory are carrying out protest actions against dismissals. “The main reason is the committee [means NA’s economic affairs standing committee – auth.] The issue was discussed with the minister of economy and decision made to set a fee on imported cement. We on our part reduced the price from 50,000 AMD to 40,000 AMD to increase the demand. While today, I do not know with whose personal interests the Committee decides that such number of families will not work as fees for clinker (cement raw) are not being set. 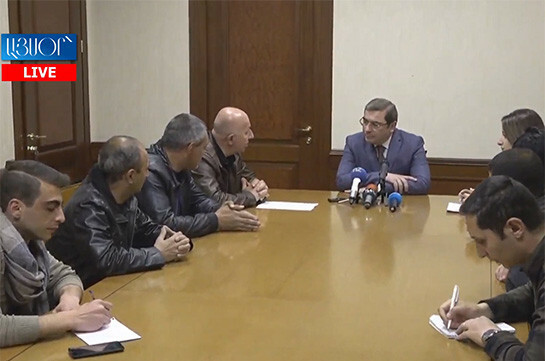 Clinker is what the cement is comprised of, it is the 90% of expenses,” Tsarukyan told the reporters in the NA today, commenting on the situation over the plant. The NA Economic Affairs Committee was discussing bill on making amendments in the law on State Fee establishing 22,000 AMD fee for the imported cement. The proposal though raised dissatisfaction of My Step faction. Besides it has been decided to lift the fees from clinker. 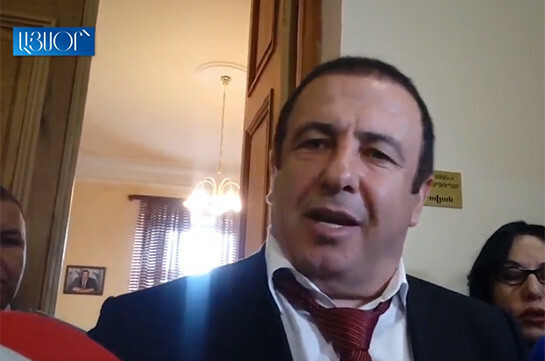 Tsarukyan claims that those presenting such proposals pursue personal interests. “They send provokers to cement factory who claim that they came to protect interests of employees. Their interests are being protected both by the PM and the owner. There is just a need for the chairperson of the committee to state that it is unacceptable,” he said, adding that they will follow the discussions in the committee.